I know this is two back to back Target posts but I feel they have earned it...I can't get enough of their new stuff...it makes up for the fact that they no longer turn the seasonal section into the global bazaar of home merchandise like they use to post Christmas...instead items you can "stock up" on...that aren't even great deals?! Who made that corporate decision because they should be fired!! 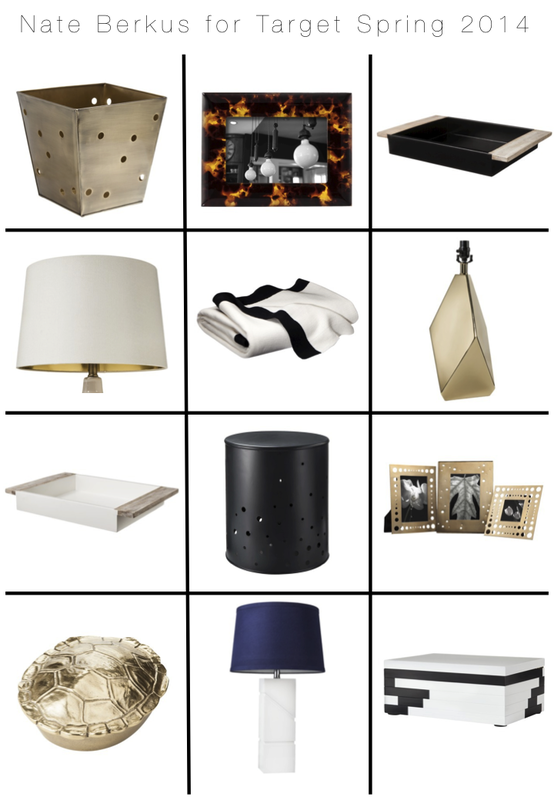 Nate's Spring 2014 collection is even better than the last...my two favorites are the metal storage bins and a LARGE gold lined white lamp shade! Finding decent lamp shades that don't break the bank can be a pain so this is a score! See all of these picks and the rest of the NB Spring 2014 collection here!